On April 15, 1962, “The Wonderful World of Color” aired an episode titled “Disneyland After Dark,” in which Walt Disney gave fans around the country a look at how lovely Disneyland park appeared at night. Starting tonight, we’ll continue Walt’s tradition right here on the Disney Parks Blog. 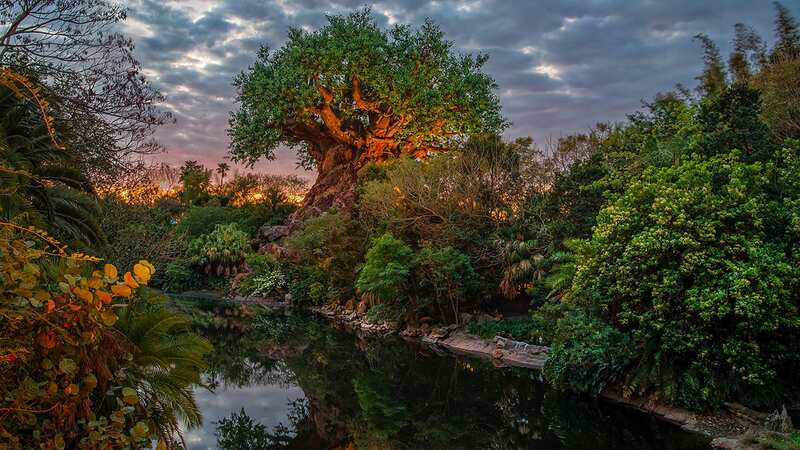 Each Thursday evening, our new “Disney Parks After Dark” column will feature a new nighttime photo of a Disneyland Resort or Walt Disney World Resort attraction. This week’s shot, taken by Disney Photographer Ali Nasser, is of the lovely “doubled” Dumbo the Flying Elephant attraction in the Storybook Circus area of New Fantasyland at Magic Kingdom Park. Just seeing how colorful this newly refurbished attraction is makes me want to plan an evening at the parks for my family so we can see it for ourselves! What do you think? 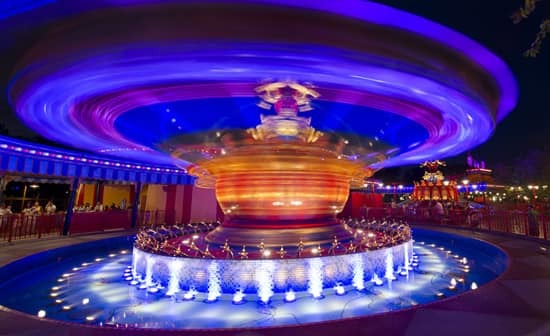 And which Disney attraction is your favorite to experience at night? Tell us in the comments section below. That picture is gorgeous! I wonder if The Magic Carpets of Aladdin looks similar. My favorite Disney at night ride has to be Splash Mountain though I need to get back onto Mad Tea Party. I think Splash Mountain may be on our schedule soon! Keep checking back! The castle during Christmas time is by far my favorite thing to see at Disney after dark. But I love seeing all the lights in tomorrowland, at night you feel like you are taking a whole new vacation! Disney does MAGIC well! Agreed! The castle lights during the holidays are AMAZING! That is an incredible picture. Nighttime is always my favorite time to be in the parks, especially the Magic Kingdom. I actually complained that Mickey’s Not So Scary Halloween Party ended too early at midnight. And my favorite Disney memory of all time is riding Buzz Lightyear’s Space Ranger Spin 3 times in a row at 2 am on my honeymoon. The temperature is so much cooler at night, too. Visiting the parks during fall, at night, is ideal! My favorite night time attraction as to be the Jungle Cruise! The jungle is even more exciting at night. I miss the music at night, there are just a few venues available, where there are many in the daytime! The boats don’t run either. But then I love World of Color and the Mad Tea Party! Expedition Everest! It’s that much scarier!! Nighttime is my favorite time. My favorite night ride is TTA. It gives such a great view and is so relaxing. As others mentioned, the title makes me think of Kingdom Keepers. I LOVE those books (even if I am not the right demographic). I had the same thought, Kyra! Even the title reminds me of Kingdom Keepers, since the first book’s subtitle is “Disney After Dark”! Parks at night. This is going to sound weird, but I love Journey into Imagination with Figment after dark. It’s an indoor ride, but coming out of it into the darkness is cool. I love this concept. I have always been intrigued by Disney After Dark. And now I cannot wait for Thursdays to roll around. If every photograph is like this one, I will be hooked forever! That’s great to hear, Hunter. It will be fun to feature a new attraction each week. They all look so different at night! My fav is Astro Orbiter! The view from so high up is amazing! Jennifer….just wondering if you only used photos from licensed Disney photographers… granted the answer is probably yes but just had to ask, Since nighttime is te best time to take photos of the Parks. Or, Tower of Terror… on a stormy night… it’s all about the scary/creepy rides in a even creepier environment. Makes the hairs on my arms stand up. Um… Haunted mansion, of course. Esc. on a stormy night! Oh, by far and away, my favorite nighttime ride to see is the Astro Orbiter. It makes for outstanding existing-light photography, especially with fireworks in the background! A close second is Pirates of the Caribbean, when the fog is rolling and the colored lights are on, it has a wonderfully eerie feel! Astro Orbiter is one of my favs at night. Very colorful! Walt Disney World’s Haunted Mansion. It gives the eerie feeling walking up to it. My favorite rides to ride at night are Splash Mountain and Big Thunder Mountain. There is a moment (only for a second) at the top of Splash Mountain when you can see almost all of the Magic Kingdom with Cinderella’s Castle as the focal point and it is just breathtaking – especially if there are fireworks going off overhead. However, hands down, the best ride to be on during fireworks is Big Thunder Mountain because it feels like they’re all around you and that you’re actually part of the show. But!…nighttime is also a magical time to walk around the countries at Epcot to see the more romantic side of them. It’s at nighttime when they truly feel like lively street corners in a distant land. Future World in EPCOT with the lights in the walkways near Innovations and the music playing is one of my favorite night time walks in Walt Disney World. That fountain lit up at night is pretty nice, too! Gorgeous photograph!! I can’t wait to see the new Dumbo during our trip later this year. My favorite Disney attractions at night include: Matterhorn, Tower of Terror, PeopleMover (bring it back to Disneyland too! ), Jungle Cruise, and Thunder Mtn. I’ve never seen Matterhorn at night – that might be interesting. I agree that Tower of Terror looks very cool after dark! The ride that is really neat if you catch it on the night of a full moon rise is Expidition Everest.When you get to the opening where the tracks are mangled the fullmoon is like artwork shining in.I’ll bet those emagineers did that on purpose,it’s awesome. That’s a great tip, thanks John! That’s an awesome shot. I have a sneaking suspicion that Tomorrowland will be featured in this series, with all if its amazing lights! Beautiful photo! My favorite attraction at night is the Tomorrowland Transit Authority PeopleMover! You can see some great lights from that attraction after dark. Big thunder mtn is one of our favorites to ride at night, but we also mostly like to walk around the park while i take nighttime photos of the kingdom. Being a Disney Photographer must be great, would be a dream job!! So pretty…you just don’t know how much I wish I was there now! That is a great one at night. Such a good view from the top. That is spectacular! I will see you on Tuesday morning Dumbo! And while I am at it I will continue my bid to fly on Dumbo during the WDW 20th Marathon! Thanks for the beauty Jennifer! It’s our favorite time to be in the parks!! Night time is just so much more magical, kudos to the lighting team at Disney! Agreed. It does look amazing.